Brian Conley is one of the UK’s most versatile and popular comedy performers. He has become a household name thanks to such diverse characters as Dangerous Brian, Nick “It’s a Puppet” Frisby, Doug Digby and the legendary Al Jolson. Born and raised in West London, Brian studied Performing Arts at The Barbara Speake Stage School. At the age of 16, he took to the road and made a living performing cabaret in nightclubs. Brian was soon snapped up by ITV and given his own show demonstrating his unique and versatile talents; this was Brian Conley – This Way Up, which was followed by The Brian Conley Show – which regularly pulled in more than 12 million viewers. In 2006, Brian Conley returned to television, hosting a series of a daytime variety show called Let Me Entertain You, and in 2007 he hosted Dirty Rotten Cheater, a game show for BBC2. Away from television, Brian has reputation as a fine film actor. He starred in Circus with John Hannah and Eddie Izzard, Unconditional Love alongside Kathy Bates, Dream with Sinead Cusack, Arthur’s Dyke with Pauline Quirk and joined Sean Bean and Christian Bale in the cult film Equilibrium. In 2007 he starred alongside Sir Bob Geldof in the award winning short film ‘I Am Bob’ which was directed by Donald Rice. Brian Conley has won numerous awards in his career including, The National Television Award for ‘Most Popular Comedy Performer’, ‘Show Business Personality of the Year‘, and in the Manchester Evening News Theatre Awards ‘Most Popular Performer’. 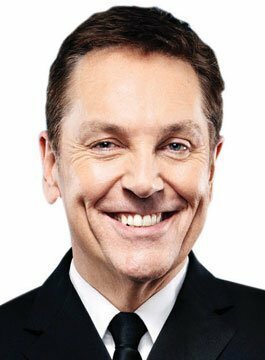 Brian Conley is a superb comedy performer and awards host and is suitable for corporate and private events.